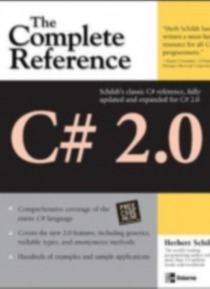 This comprehensive volume is fully updated for C# 2.0 -- the newest version of Microsoft's revolutionary programming language.The changes found in C# 2.0 bring Java-like power to millions of Windows programmers worldwide. With expertly crafted explanations, insider tips, and hundreds of examples, this book fully explains every aspect of C# 2.0. Written in the clear, uncompromising style that has m… ade master programming author Herb Schildt the choice of millions, the book covers all the new and existing features of this major programming language.